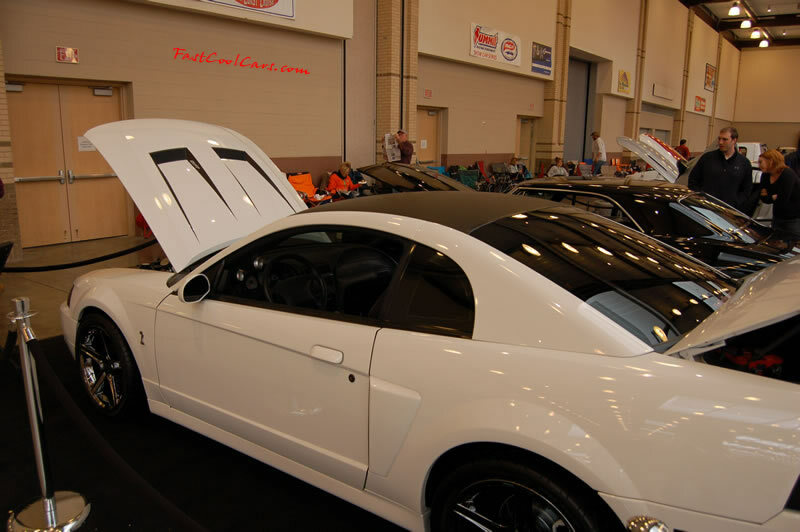 The 2011 43rd annual World of Wheels Event was held in Chattanooga Tennessee on January 7th, 8th, and 9th. We at FastCoolCars.com were fortunate enough to have our own 2003 Ford Mustang Cobra coupe in this awesome show. As a matter a fact the image at the top of this page of the Yellow Cobra was taken with Nadia, Miss World of Wheels 2011. There were many cars, bikes, and trucks in the show. A good example of many car manufacturers from Ford, Chevrolet, Pontiac, Cadillac, American Motors AMX, Pantera, Harleys, SVT, Cobra, Saleen, Roush, Firebirds, Trans Am, GTO, Shelby, Corvette, just to name a few. John Schneider from The Dukes of Hazzard, as well as many other popular shows was in attendance. Convertibles, coupes, notchbacks, speedsters, roadsters, low riders, monster trucks, tuners, muscle cars, hot rods, street rods, classic cars, rat rods, and much more. Custom paint jobs galore.